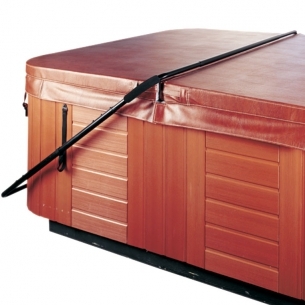 The CoverShelf provides the simplest & most economical way to remove and store the spa hard cover when space behind the spa is not a factor. 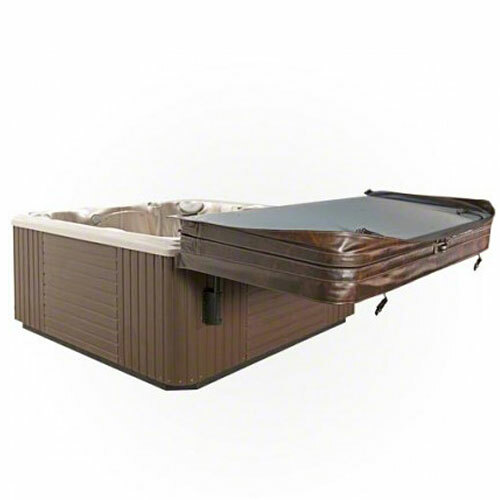 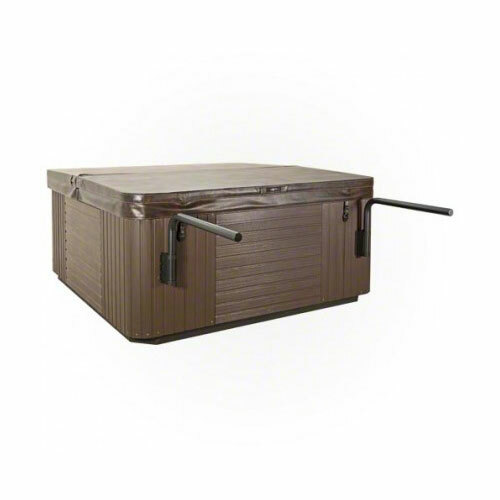 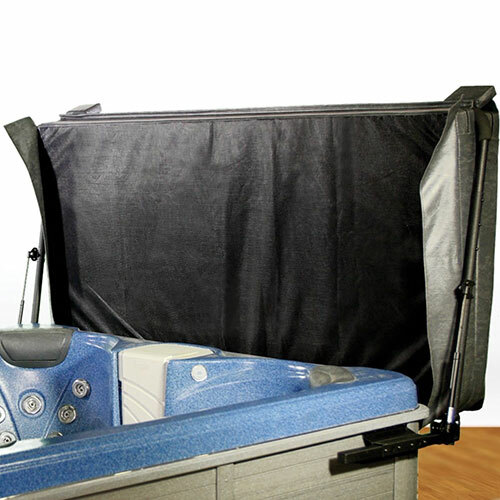 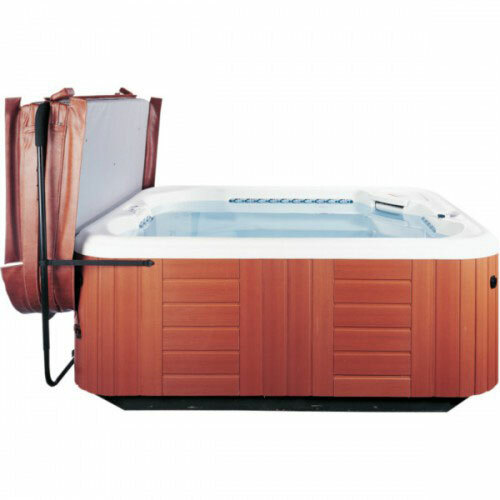 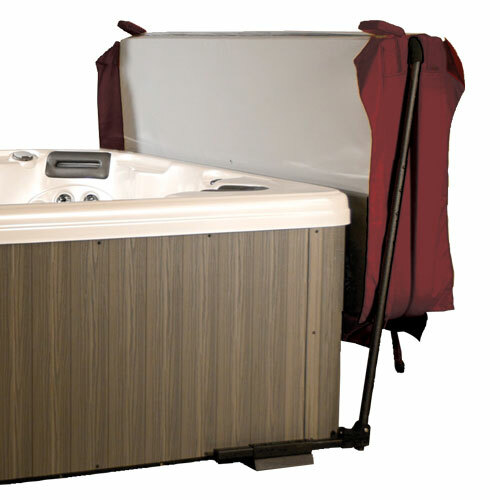 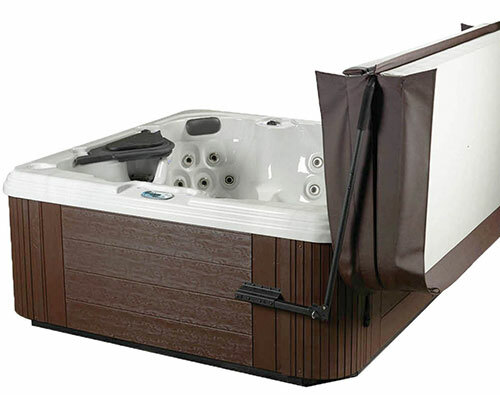 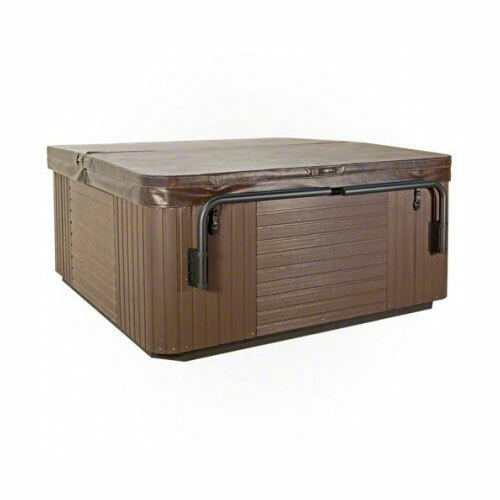 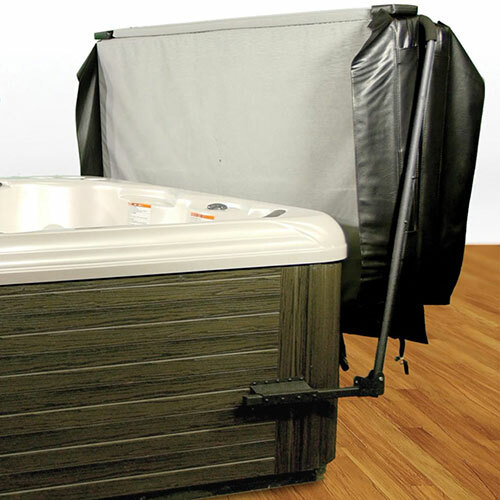 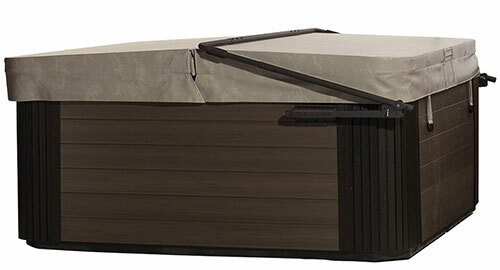 So simple to use – the CoverShelf swings into the open position, then from inside the spa the user simply slides the folded hard cover on to the CoverShelf. 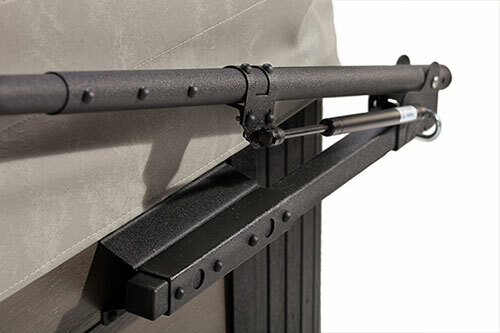 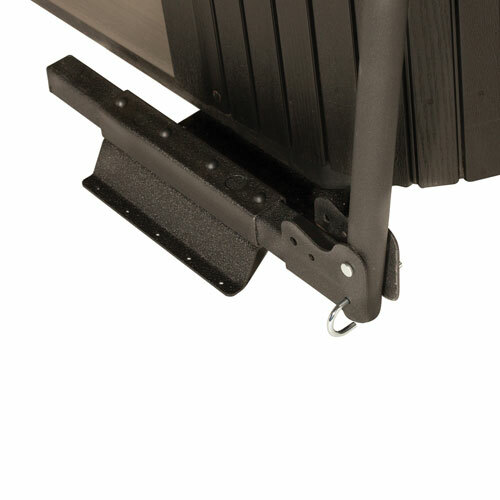 The Covershelf is made of strong weather resistant plastic and steel to provide years of trouble free performance.